April is the month when nature at last sheds its winter coat (we hope), and ushers in the greens and colors of the spring garden. April is also National Garden Month, and so the best time to dust off the gardening tools and get your hands dirty. However, not everyone has the acreage, or even the yard, to plant that garden. That’s not a problem. Gardening can be as small an investment as you want. In fact, you can plant a garden in some very small spaces. The library can show you how with a variety of books on the subject. If you have a window and a box, why not create a window box. Chantal Gordon shows you how in “How to Window Box: Small-Space Plants to Grow Indoors or Out.” Gordon is one of the founders of the popular gardening blog The Horticult https://thehorticult.com/. Her book is a guide to 16 indoor and outdoor projects featuring succulents to vegetables, and a variety of both sun and shade loving plants. A few square feet is all you need to grow healthy vegetables in “Grow All You Can Eat in 3 Square Feet.” This book is loaded with information on window boxes, potted plants, patio gardening, raised beds, and of course small square-foot gardening. Bursting with colorful photographs, this book will teach you what to grow, how to use the available space efficiently, and how to maximize your yield. “Grow Your Own in Pots,” by Kay Maguire offers techniques to growing more than 60 vegetables, fruits, herbs and flowers in containers. Her 30 step-by-step projects explain the best pairings, such as growing tomatoes with basil, as well as identifying the best vegetables that thrive in small spaces. For each project, Maguire explains the size and type of container, and lists materials and tasks involved in insuring healthy plants. You can garden anywhere. That’s Alys Fowlers’ contention in her book, “Garden Anywhere.” Fowler explains how you can grow gardens in containers, as well as herb gardens, and kitchen gardens, all without busting your bank account. She shows how to create an oasis in the smallest of spaces and outlines everything the aspiring gardener needs to know to sow a thriving garden. “Crops in Pots,” by Bob Purnell includes plant lists, step-by-step instructions, and at-a-glance symbols of growing requirements that make each of the 40 projects included in the book a cinch. Purnell explains how to group your containers around culinary themes such as leafy greens or savory herbs. His projects include small spaces on patios, window boxes, and decks. He even shows the possibility of growing apples, oranges, and cranberries in small containers. Herbs are the perfect plants for pots and small gardens. In “The Culinary Herbal: Growing & Preserving 97 Flavorful Herbs,” author Susan Belsinger highlights an alphabet of herbs from anise to watercress. Along the way you’ll learn how to grow, harvest, and preserve herbs. You’ll even learn how to use herbs in making herbal vinegars and butters, among other delicacies. “The Cook’s Herb Garden,” by Jeff Cox is a practical guide to successful growing and cooking with herbs. In it you’ll find notes on herb flavors, as well as the best growing conditions, storage, and how to use them in the kitchen. This book includes more than 50 recipes for rubs and marinades, sauces and salsas, and herbal butters, among other dishes. It also includes charts on best herb-food pairings. “The Encyclopedia of Herbs,” by Arthur Tucker, is a comprehensive reference to herbs. Its 500 entries provide information on growing, identifying, harvesting, and preserving herbs. Each entry gives the history of the plant and its uses in landscapes, cooking, and crafts. 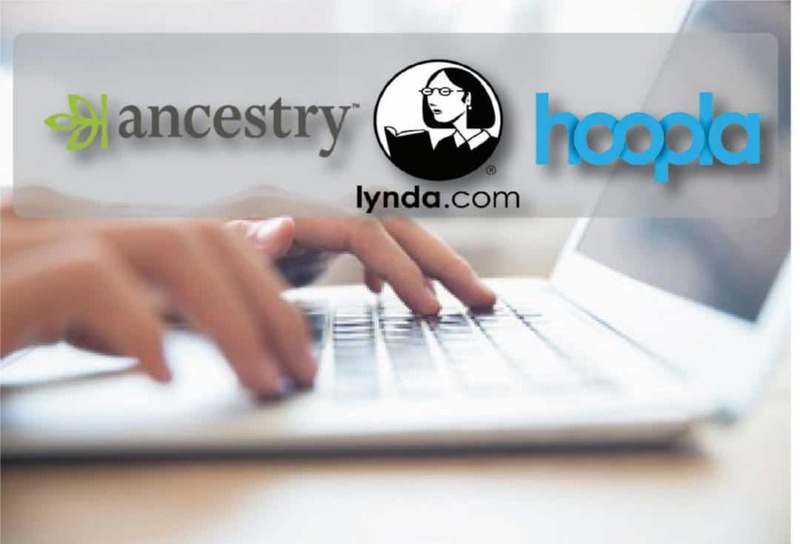 Don’t forget to check out the collection of free downloadable eBooks from Hoopla. Titles available all the time include “Pot It, Grow It, Eat It,” by Kathryn Hawkins. This book begins with looking at the tools and materials you’ll need, and about choosing the right container. What follows is a directory of the vegetables, herbs, and fruits suitable for container gardens, and recipes for the produce you’ve grown. Among the dozens of other gardening titles on Hoopla are “Small-Space Vegetable Gardens,” by Andrea Bellamy, and Jessica Walliser’s “Container Gardening Complete.” Both provide a wealth of information on making the most of your limited gardening space. Book one, “The Gunslinger,” introduces us to Roland Deschain of Gilead, now the Last Gunslinger, a solitary figure who is on a mission to save Mid-World, and the other worlds attached to Mid-World, which are all deteriorating. In the second book, “Drawing of the Three,” Roland builds his ka-tet of three traveling companions that have fallen through the portals from our world into Mid-World. I borrowed these first two books from my older brother, read them, and thought they were okay. (King would recommend you read a later, more complete edition of “The Gunslinger.”) My brother then strongly recommended the third book, “The Waste Lands,” which, unfortunately, he did not own. What could a recent college graduate with little income do? I visited my neighborhood library branch, got my first library card for the Lincoln Public Library, and checked out “The Waste Lands.” This book introduced me to the idea that there really is such a thing as a book you can’t put down. After years of college textbooks and journals, I was discovering a love of pleasure reading. Huzzah! I began to wonder if I could combine my newfound love of reading with my career path in public service. 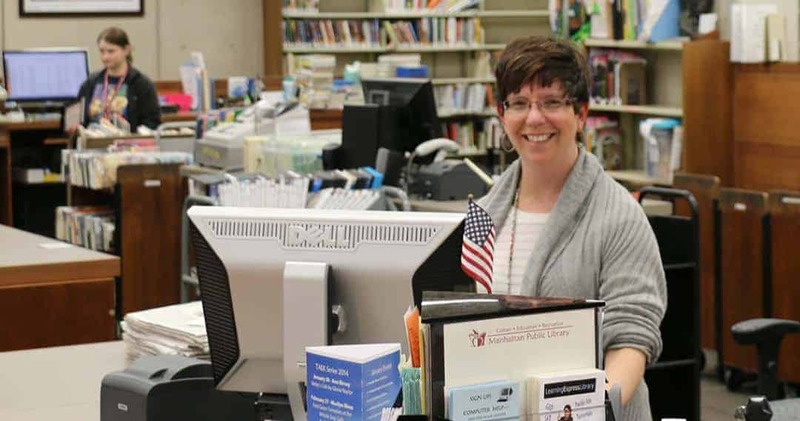 So began my volunteer experience at the same library branch where I had checked out “The Waste Lands.” About a year later, I moved to Manhattan, and the volunteer library experience in Lincoln was key in landing a full-time job at the North Central Kansas Library. It was then that after six long years of waiting, King picked up the tale of Roland with the fourth book in the series, “Wizard and Glass.” Blaine the Monorail reluctantly carries the ka-tet through the waste lands and crashes in Mid-World’s alternate version of Topeka, Kansas. (My journey brought me to Kansas just a few months prior to the release this book.) Following the train crash, while journeying on a deserted I-70, Roland tells his ka-tet a tale from his youth. With “Wizard and Glass” King actually managed to write a tragic romance that hooked me. Amazing! 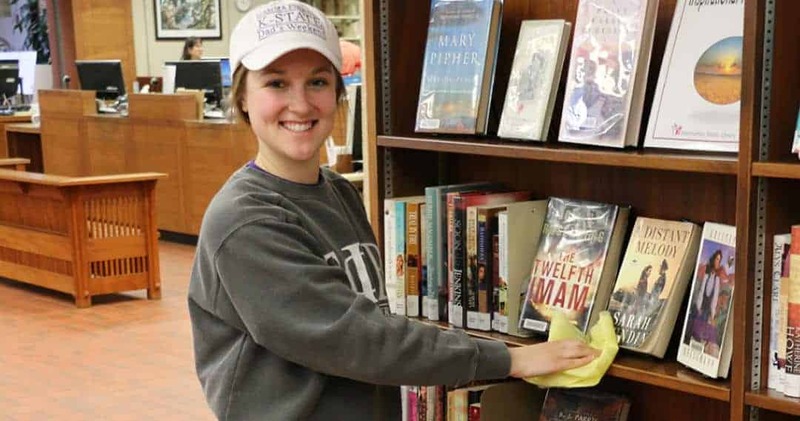 As the epic tale continued to gain steam, my own tale began to pick up steam as I started working on my master’s degree in Library Science at Emporia State University. Enter the “The Wind through the Keyhole.” While sheltering out the aftermath of a ferocious storm called a starkblast, Roland tells his ka-tet another story from his youth, when his father sent Roland and Alain to investigate a series of savage murders in a rural community. I found this book uniquely interesting as it is a story inside a story inside a story. In “Wolves of the Calla,” along their journey to the Dark Tower, Roland and his ka-tet save a rural community from the wolves of Thunderclap that raid Calla Bryn Sturgis roughly every twenty years. The fearful townspeople have no idea why the wolves abduct one newborn twin and return it later as a sterile, senseless teenager, only to die before age 40. This story has connections to several earlier King books and is darkly suspenseful. It is my favorite book of the series. In “Song of Susannah,” Roland visits our world for the first time as his ka-tet has business to take care of here in their quest to save the Dark Tower and all the connected worlds. Roland has no idea of modern city life, and seeing him react to New York City is amusing. The epic series concludes with long-awaited “The Dark Tower.” I will say no more about this final book, as it brings to a conclusion the tale of Roland Deschain’s journey. But it might be fair to say that were it not for Roland and his journey to save the Dark Tower, I might not have begun my own journey to become a librarian. Weird, but I think Stephen King would be pleased. What a please it can be to discover a favorite new author! For me, Pam Houston has been a tremendous new discovery, and I’ve enthusiastically recommended her books, especially her latest, to other readers. Hopefully, these titles will appeal to you as well. Cowboys Are My Weakness is a book of short stories that came out in 1992. This collection, mostly written when Houston worked as a river and hunting guide, explores the differences in relationships between men and women. Houston’s women characters have frequently made bad choices in men, choices that have resulted in dangerous situations or at least glaring misunderstandings. In the title story, for example, a narrator who could well be Houston herself, stays at an isolated ranch house while her wildlife specialist boyfriend studies the behavior of whitetail deer and explores romances with other women. When our narrator meets a cowboy who might offer her a more stable relationship, the two arrange to meet at a dance, and she contemplates how closely this new cowboy resembles the fantasy man of her dreams. Other stories in this book offer equally flawed relationships, often in wickedly funny ways. Contents May Have Shifted is a novel Houston published in 2012. The story is a series of episodes taking place in various parts of the world. Tucked among those episodes are experiences on airline flights, some alarming, some reflections on natural beauty. Throughout, the narrator (another Houston-like character) seems to be seeking a life worth meaning, one that she discovers only in the freedom of travel and new experiences. Some of the author’s short episodes are quite funny, but there is also the realization that life is not without pain and the unexpected. A flying experience with a pilot named George in a plane held together with duct tape, for example, turns into a panicky situation when the plane runs out of fuel. Turns out that George was just having a little fun and laughingly switched over to the other tank after a short glide above unbroken wilderness. My favorite Houston title is her latest book. Just published to rave reviews is her memoir entitled Deep Creek. Within the pages of this lovely book, Houston tells of her many journeys to locate her perfect home. It isn’t until she locates the town of Creede, Colorado that she discovers what home really is. With little money, she makes a down payment on a 120-acre ranch and begins life in an old ranch house. Within its walls, she realizes a peace she’d never experienced before. And her views of the adjoining wilderness could not be better. To be sure, she came to the ranch with little experience. She knew she wanted horses, dogs and chickens, but she knew little about their care. Fortunately, she was befriended by kind neighbors who quickly educate her about animal feeding and care, as well as extra steps to be taken before the arrival of a harsh winter. And her learning experiences, sometimes painful as they are, make her a better rancher and a better conservationist. Hers is not an idyllic life. 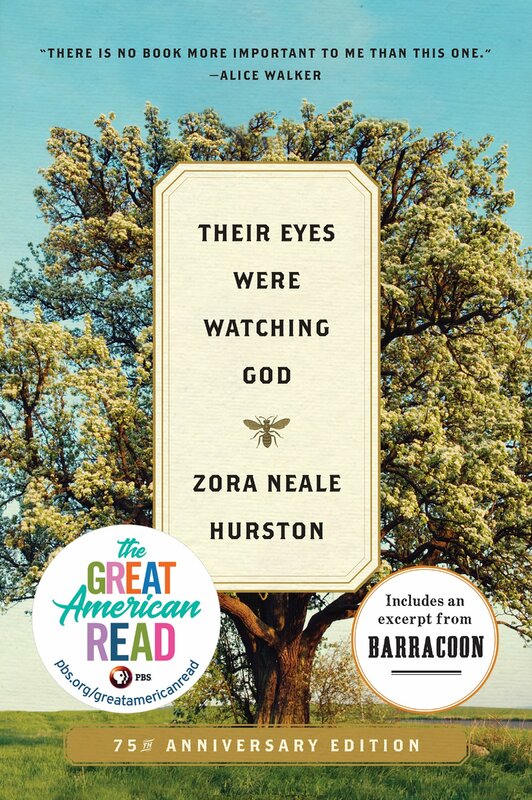 She faces the loss of beloved animals, and the discovery that she must leave responsible individuals in charge when her university teaching duties require her to return to California. She comes to understand the terrible losses that an uncontrolled fire can bring. She learns of the cruelty that others may bring, like the thoughtless slaughter of wild animals by poachers. Interspersed with chapters describing ranching life, we read of flashbacks to Houston’s childhood. It is there that we realize what created in her a restlessness and a terrible yearning for a special home. Without sentimentality, she describes the horrible sexual abuse she endured at the hands of her father and the cold indifference she learned from her alcoholic mother. We also read of the years of therapy she underwent during her recovery from the damages of bad parenting. Houston is a gifted writer. She has managed to merge hauntingly beautiful descriptions of her wilderness home with horrendous childhood experiences that made her who she is. You’ll find that a couple hours reading her memoir allows you a whole new perspective on home and healing. Jane Austen probably would have been very surprised to find that her novels are still being read, analyzed, and reinterpreted over 200 years after their original publication. I sometimes hear them described as romance novels, but that’s not really what they are about. Austen was the master of observing her society and encouraging the reader to see things in a different light. On the surface her most famous novel, “Pride and Prejudice,” is the story of Fitzwilliam Darcy and Elizabeth Bennet falling in love. When we focus in, though, we see a young woman that is learning the difference between manners and goodness, the limited options for women in 19th Century England, and a society that can be scathing in its punishment for any missteps. This story contains so many facets that authors have analyzed it from all different angles of it throughout the years. The most recent attempt that I have encountered is “Mary B” by Katherine J. Chen. Chen shares the story from the perspective of Mary, the serious sister with a penchant for regularly displaying her limited musical talent. We get to read her thoughts about their awkward cousin Mr. Collins, her shame at the behavior of her sisters, and her true feelings about being the “plain” sister. The story really picks up where “Pride and Prejudice” ends, when Mary is invited for an extended visit with Elizabeth. At Pemberley she finds an unlikely path to a hopeful future and an unexpected ally. I’m enjoying getting a glimpse into the context for some of Mary’s more obnoxious moments and her reflections on what is going on around her. Chen’s Mary is reminiscent of what we know of Jane Austen herself – always watching, able to observe unnoticed, able to analyze the workings of society, but powerless to change her place in it. She even has a wicked sense of humor like Austen – Mary just keeps it to herself. Her journey of finding her place in the world and gaining understanding makes for a rewarding read. “Longbourn” by Jo Baker has been around a few years but is a stand-out in the world of “Pride and Prejudice” spin-offs. Baker focuses on the Bennets’ pleasant maid, Sarah. Through her eyes we get the scoop on the lives below-stairs in the Bennet home. This novel illuminates the lives of the characters that make possible the ease that the family experiences. We get to experience their hopes and dreams, as well as the realities of their working existence. For instance, Elizabeth’s muddy petticoat is less charming to those that have to make it sparkling white again. The perspective of the servants is reminiscent of the appeal of “Downton Abbey,” making it clear that there is just as much intrigue, drama, and passion for those that are often forgotten. “Pride Prejudice and Other Flavors” by Sonali Dev coming out in May. Jane Austen once famously said, “If a book is well written, I always find it too short.” Her many fans have also felt that her books were too few, but they have solved this dilemma by looking at her novels from different angles, setting them in different places and time periods, and using different media. Her timeless themes of dysfunctional families, self-discovery, humanity’s foibles, and of course love, will continue to intrigue readers for centuries to come. 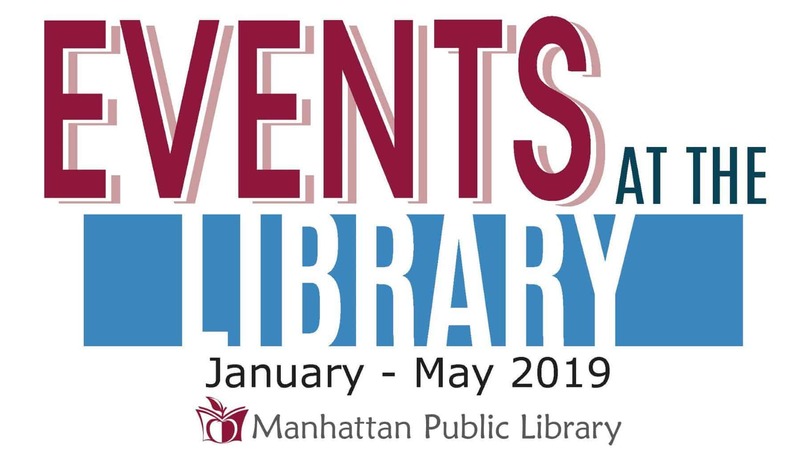 Whether you like Austen in print, digital, or movies – the original works or a reinterpretation, the staff at Manhattan Public Library will be sure to have something to satisfy.